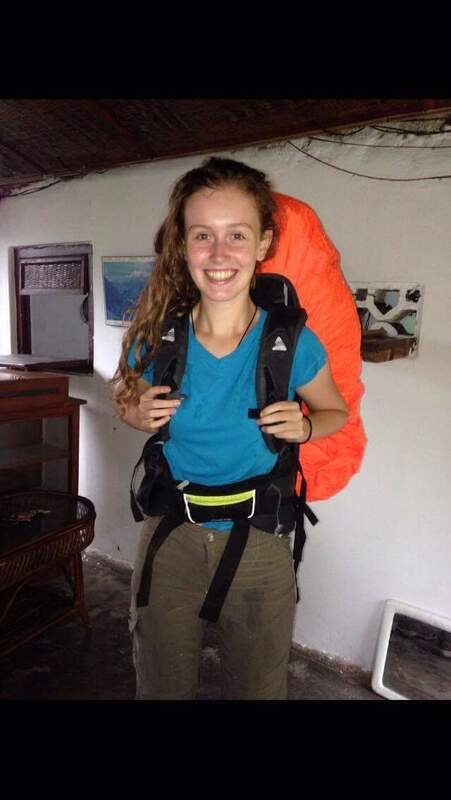 Vango has been fantastic in supporting me throughout my trip to Nepal. Not only are the staff so helpful but their kit and equipment are top of the range. I knew that my kit was of a high quality immediately. The sleeping bag (the fuse -6 degrees) is amazing and was recommended to me due to its ability to repel water. I love the colours and it’s by far the best sleeping bag I have ever owned. It’s coming into the winter season now and I know I will have no issues with staying warm and dry with this sleeping bag. I have recently just used the fuse -6 on a 10 day trek up to Annapurna base camp for our October teaching holidays (Annapurna south being the tenth highest mountain in the world) and it surpassed my expectations. Annapurna base camp in October, at night, gets to well below freezing yet this was easy for my sleeping bag to cope with. In my project, at okhreni primary school, I sleep in my sleeping bag and liner which are both amazing, I am never cold and I always sleep well. It’s safe to say that I rely on my sleeping bag and it never disappoints. 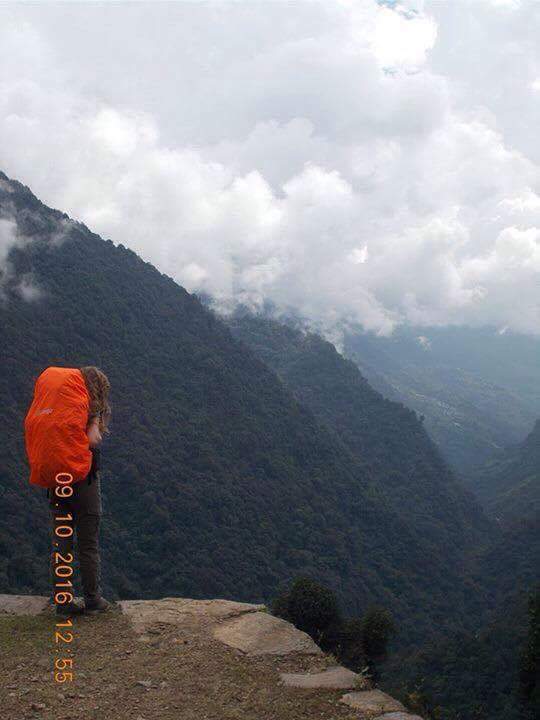 In addition to the sleeping bag, I used my Sherpa 65+ litre rucksack to firstly hike into my project with all the necessary equipment for a year and I also used this bag to get to Annapurna base camp. With regards to size, it’s perfect and I still feel like I may find extra pockets to put things in as there is loads of space! The bag has room for a water platypus which I used to hike with, keeping me hydrated. In addition, the fit of the bag to your body is excellent and there are many straps to adapt it to your back and hips, making it extremely comfortable. Possibly my favourite feature is the rain cover which was invaluable to me, particularly during the trek. It’s the monsoon season here right now, which means lots of rain. Yet not once did my bag get wet because of this fantastic, high quality rain cover. I managed also to carry everything I needed for a year in with me due to this bag. I would therefore highly recommend it to anyone. There were also four others in my group with vango rucksacks, all of whom made it to base camp. 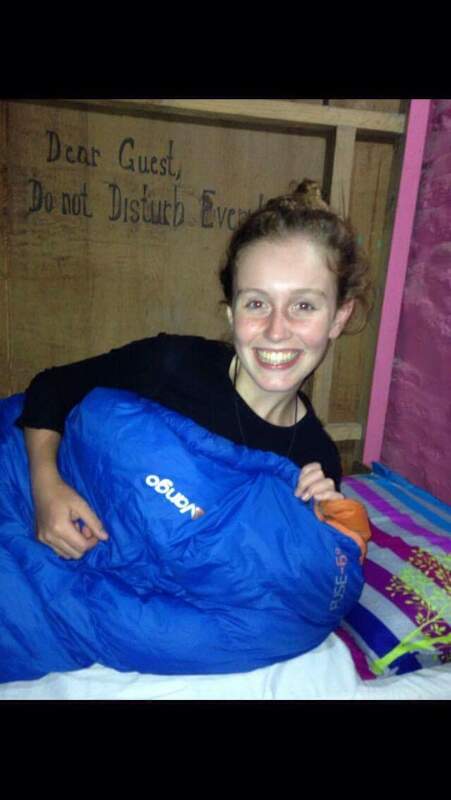 This proves how high quality the Vango brand is and how it was the top outdoor brand used amongst all the volunteers who chose to come to Nepal. One of the most important pieces of equipment that any trekker will invest in is their boots. 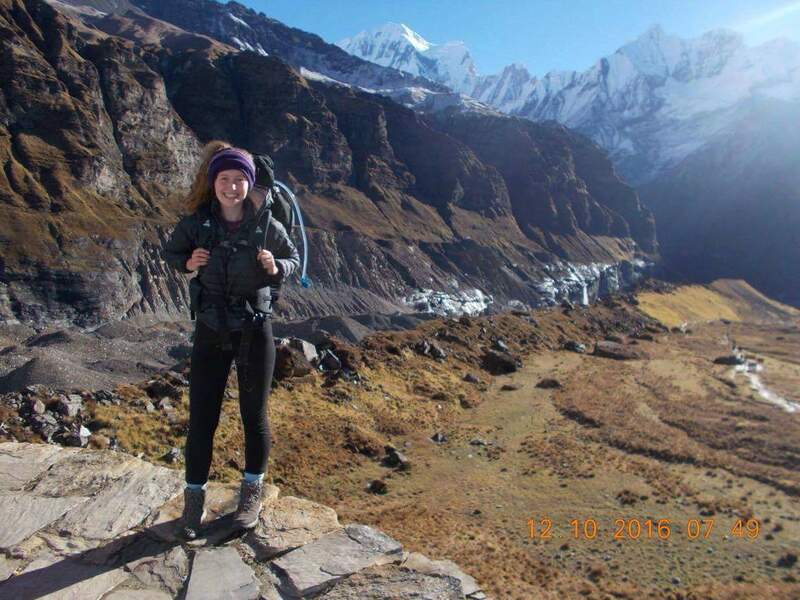 I used my Vango boots to get in to my project (which in total takes 2 days) and also to get to Annapurna base camp. Many members of the group got blisters etc. yet my feet remained dry the whole time and with no blisters. This made the whole experience a lot more enjoyable and a lot easier with high quality hiking boots. One piece of equipment which the kids in the primary school have grown a liking to is my Vango headtorch. I also love this product as there is no means of power so I can just use batteries. The power has also managed to last for well over a month which I was very impressed with. I cannot express my gratitude to Vango enough. Their help has made this entire year a lot more enjoyable and has put me at ease. I know that I am in good hands with all of my equipment and I can 100% trust it all, which is so reassuring. 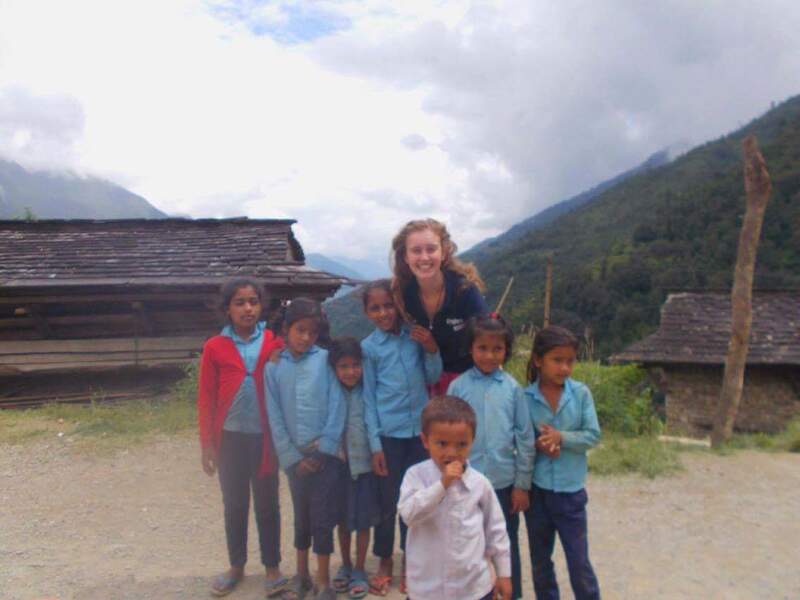 With extreme gratitude, Caoimhe Cuthbertson, volunteer English teacher in Nepal 2016/17.